Most people would agree that the increase in housing prices across Greater Vancouver over the last few years was exceptional and unsustainable. In 2018 we saw a major shift in the market; now, in most areas and housing categories we are now firmly in Buyer’s Market territory, but if you look at the big picture it would still be considered balanced market overall. Many homeowners have lost some, but certainly not all of their gains of the last few years. See the video below for an overview of the Vancouver Real Estate Market as of Dec 2018. Vancouver saw billions of dollars of speculative investment come into the region, which drove up real estate prices incredibly fast. Many would argue that the Provincial Government allowed this to carry on far too long before they introduced measures to slow the market. However, even before the provincial Government introduced the 15% Foreign Buyers tax in 2016 we were seeing less foreign investment, mainly because China started restricting the exodus of capital into the West. The Chinese economy has been slowing which means those investors are being more cautious. Vancouver is not alone; other major Pacific Rim real estate markets from Sydney to Singapore have been slowing as as result of reduction of Chinese capital. ​As a result of new taxes aimed to curb foreign investment and added scrutiny from regulators, Canada is now seen as being less friendly to Foreign real estate investors. Add to this the current Worldwide political uncertainty and USA/China trades wars and it is no wonder the Mainland Chinese are no longer flinging their money around. ​Have Mainland Chinese Buyers completely lost interest in Vancouver real estate? On the surface it certainly looks like it. In the first half of 2018, Foreign Buyers accounted for just 1% of real estate transactions in the REBGV and Fraser Valley Districts, down from 3% in 2017. In early 2018 the Provincial Government raised the Foreign Buyers Tax from 15% to 20%. The City of Vancouver introduced the Empty Homes Tax. The Province introduced the Speculation Tax. Additional PTT on High Value Homes. Effective Feb 2018 an additional 3% Property Transfer Tax was applied to home sale values over $3,000,000 ( in addition to the existing PTT). New School Tax is being applied to homes over $3,000,000 which will mainly impact 22,000 homes in the Vancouver Region. The new NDP/Green Provincial Government has been getting a lot of political pressure from its base to make housing more affordable. These new taxes are popular with a large segment of the local population who have been priced out of the local market. I am skeptical about how these taxes will improve affordability for locals because they mainly affect the top end of the market, however they certainly make it less attractive for wealthy individuals to live in and invest in Vancouver real estate. NOTE: the CRA is now actively going after house flippers and presale assignors to ensure they pay their taxes and I have been hearing rumours of tough tax audits. New legislation requires developers to register the identity of Assignors and Assignees so that the CRA can more easily collect taxes on these previously unregistered sales. Profits in these cases are assessed as business income, NOT capital gains. If you are an investor in Vancouver Real Estate it is essential that you get some good tax advice!! A Mortgage Stress Test was introduced early in 2018 that reduced borrowing power by about 20%. This new policy not only affects First Time Buyers; it makes it much harder to upsize or move your mortgage to a new property because you must requalify under the new rules. It also prevents most borrowers from changing their lender on renewal… the banks are really holding people hostage! I think people are just starting to realise the truly staggering impact of the stress test but I have yet to hear any significant public outcry yet which surprises me. Canadian interest rates have gone up a bit in 2018 – as of Dec 3, 2018 the BOC benchmark rates was still at 1.75%. I’m old enough to have seen record high interest rates in the 16% plus range, but younger consumers have lived through years of record low rates and have become used to it, so these small rate increases seem bigger to them. Keep in mind that current interest rates are much lower than historical averages. In other words, the cost to borrow is still very low if you look at the historical context. Buying real estate is often a very emotional experience and when there is a volatile marketplace it can trigger very irrational decision making. In Red Hot Markets: Inexperienced investors hear stories about their neighbours making a killing on a quick real estate flip and they want to jump into the game too. Normally cautious people will take huge risks! This phenomenon is related to the “fear of missing out” and unfortunately logic and common sense frequently get thrown out the window. For a while everyone makes money, even on ridiculous investments, and it seems like you can’t possibly lose. Of course, inevitably, the market changes and the people holding poor investment properties are then panic selling. In Correcting Markets: The exact opposite occurs when there is a downturn; Buyers get over cautious and are afraid to make ANY decision. They hear the salacious stories in the news and put off buying in the hope that the prices will keep going down. This is what is happening right now. Will Prices Of Vancouver Real Estate Keep Going Down? Trying to “Time The Market” is a mug’s game! The Short Answer is NOBODY KNOWS! It doesn’t matter what kind of market we are in, the so called “experts” never agree and frankly it’s impossible to predict what will happen because there are a hundred factors that can influence local real estate values. So, in other words; it doesn’t make any logical sense to put off buying or selling because of some unknowable future. You need to analyse the CURRENT market and your needs and financial situation. Does it makes sense for YOU to buy or sell right now? Buyers: Is 2019 a good time to buy a home in Vancouver? In my opinion, if you are looking to buy, now it is a very good time! 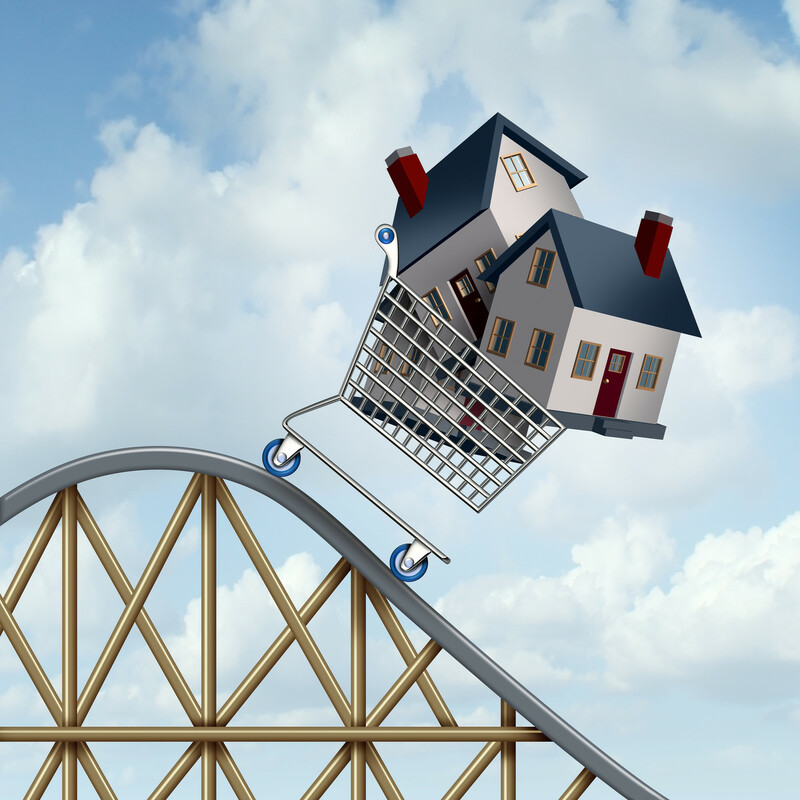 There is more inventory than we have seen in years, mortgage rates are still relatively low ( and will perhaps increase later in 2019) and Sellers are willing to reduce their prices. I have never had more success in negotiating great terms and conditions for my Buyers than right now. An aggressive low ball offer is more likely to be accepted now. Investors: Can still make money investing in Vancouver real estate? knowledgeable real estate professional, tax accountants and lawyers. Sellers: Should I sell my Vancouver Home in 2019? Generally speaking, this is not a good time to sell properties in the Metro Vancouver Region; but there are always exceptions and every situation is different. Homes are still selling provided they are priced correctly and marketed aggressively. So, should you sell now or wait in the hope that prices go up? Or are you risking that prices will keep going down? My gut feel is that the market will continue to be slow for at least the next few months, possibly longer in 2019, but that we could start to see some more activity in the Spring market which is typically the busiest time of the year. Time will tell of course. If you need to sell now, you need to price sharp and be willing to negotiate. Feel free to call me if you want to have a more in depth discussion about buying, selling or investing in Vancouver real estate in 2019. Or, ask for the latest Vancouver Real Estate Stats Package.